It sounds like a dream come true. I bought the nektar p1 for this purpose and it certainly can deliver, but cycling through the screens to get to different parameters definitely is not ideal. Gaja wrote: Here's an idea about the record enabling/ automation button. They don't need to be mutually exclusive. In my vision the record enable button would simply act as Keyboard focus on instrument tracks, so you can select your synth from the mixer (of course I don't know if this is technically possible at all). The same button, with the help of a modifier button could be used to toggle to automation mode, so you could enable both automation and arm for recording very quickly on eight channels (that is if you can glide over those buttons with your finger). As I said, I don't know if this is possible or feasible, but I wanted to contribute my idea to this amazing project. 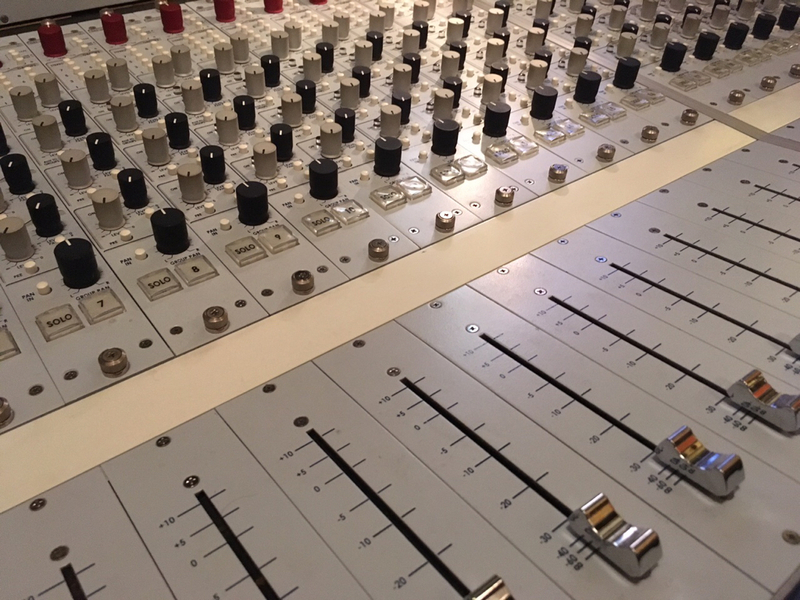 The main problem with record enable concept is more that it is "track" based, and the mixer is "channel" based than anything to do with the technology behind it. In other words, it's more of a logic problem, in that channels and tracks are not the same thing at all in Reason. The only time the two even come close to lining up is with audio channels and audio tracks, which DO have a 1:1 relationship. In contrast, every channel CAN have an automation track, thus every channel can have an automation record enable - whether or not the hardware can access that function is another question, as it is with every control in Reason (and an area I'm not as familiar with, TBH). I havent read all post yet so bare with me if this was already suggested. Why not use the layout of the Console 1 but simply add all the missing knobs and buttons for the FX sends etc. Simply keep the strip horizontal and add 8 faders, leave the buttons on top to switch channels for eq etc. I'm with you in that aproach Selig. I did that in my mockup too. I know it's nice to have all the mixer controls represented one to one but one fader is enough for me at center channel if that can control a channel or the master with a simple switch. In my way of mixing I NEVER move the master from its original position. If the Reason mixer was real, that master fader would have spider webs all over [emoji1]. dioxide wrote: Perhaps a delta wheel control for channel selection would be useful. This doesn't need to be larger than a knob but needs to be an encoder. amcjen wrote: Speaking of inserts, I haven't seen any mockups other than my own that include them, either as part of the channel strip, or as the master inserts. Am I the only one that uses them? I never use the mixer's inserts section. I do inserts in the rack and only dragging and dropping things around. In my default mixer view, they are hide. amcjen wrote: I find them super interesting for making custom-type "presets" for certain types of tracks (...) They are great to scroll through while mixing to see if there's a better fit for a track in a mix. amcjen wrote: It should just feel natural. It shouldn't feel crammed or confusing. But it should also not include such symmetry that it forces you out of your creative zone into thinking about the tool rather than the work being done with the tool (...) With asymmetry you can even go by feel without looking at all (...) I take the symmetry and monochromatic color as a drawback, not a benefit. amcjen wrote: When I think about how I mix, I use the transport the most, then the faders to bring up rough mixes. Then I move to EQ, compression, and FX (...) I use the loop enable a ton, because there are sections that get messy from a clarity standpoint, or need help, and I get tired of always hitting the triple tap of stop-holdrewind-play. [emoji1317] "Dear god, please bless Allison for her great ideas!!" Hiya! Just wanted to let everyone know that I've been REALLY enjoying all the great ideas! [emoji106] About to head out to the playa tomorrow morning and spent the day packing so no time to respond. Looking forward to responding to everyone once I return! Also looking forward to some more mockups from some of you. Okay, here is my take on this. It started out as a slight edit and ended up being completely different. Some of the things here are more to my preference – horizontal EQ, more symmetry between similar sections. There are a few gaps and some of this is just pure wishful thinking (Remote Spectrum EQ feedback). Anyway, here it is. There could also be other layouts based on this. Last edited by dioxide on 01 Sep 2017, edited 1 time in total. And here is another version. In this version the Channel layout more closely resembles the software Mixer. dioxide wrote: And here is another version. 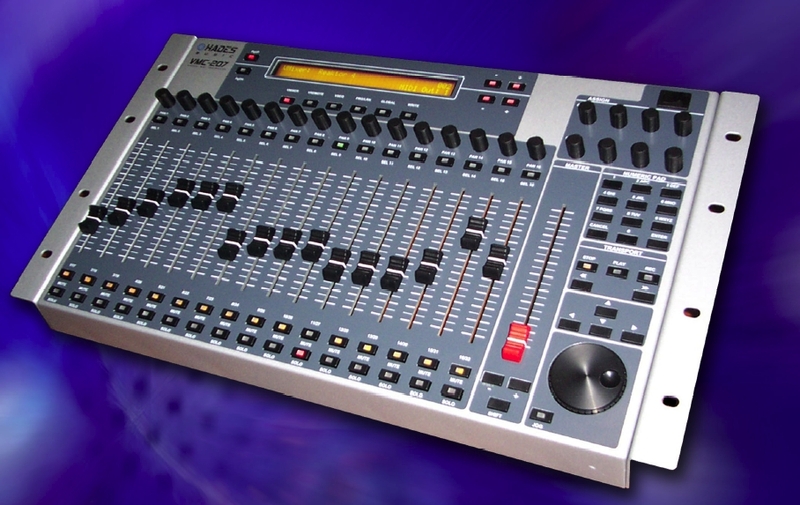 In this version the Channel layout more closely resembles the software Mixer. I'm really digging this layout! I'm still undecided about the horizontal EQ, but I also realize I might just be stuck in a rut. There is, I believe, a really amazing, intuitive, easy to use layout that exists in a tactile form, for the Reason mixer. And we will find it. Aaaand, back from the playa and car trouble and an expensive car tow back to civilization and mostly back to real life again. Currently in Portland OR attending Larry Crane's recording workshop this weekend. Larry publishes TapeOp magazine and has a really great thing going on up here. 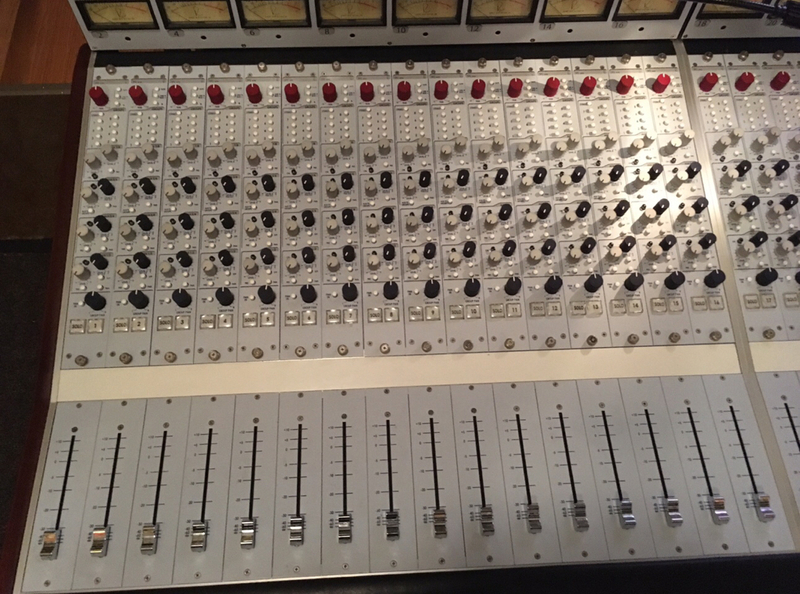 Will be taking pics of his setup (a Neve console IIRC) and see how it feels. Welcome, hope the city treats you well. Most definitely. However, despite various screen setups, do you still mix primarily onscreen, using a mouse? Just curious as we've been going deep on how to most usefully utilize a physical controller for a DAW like Reason. Slick! We got rain today, that's a really good thing for all the [emoji91]. This layout makes most sense if you have the Spectrum EQ window on your monitor. 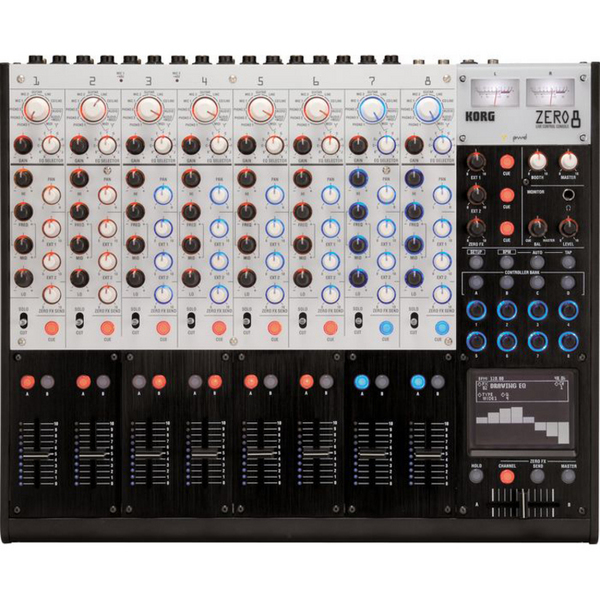 Otherwise I agree a vertical layout is more in line with what people expect from mixers, although mainly on a multichannel mixer instead of a single control style strip controller. 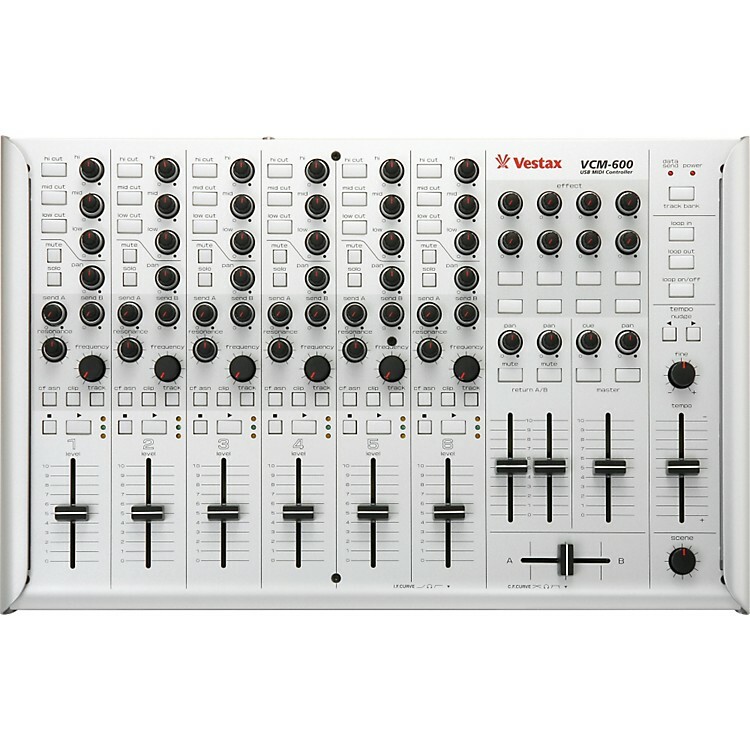 Laying out the mixer got me thinking about my mixer setup and the limitations of the Vestax VCM600 that I use at the moment. It has 8 pots per channel but only 6 actual channels which means a lot of banking up and down. After a bit of digging I found this which can be used as a MIDI controller. I'm going to try and find one and see how well it maps. 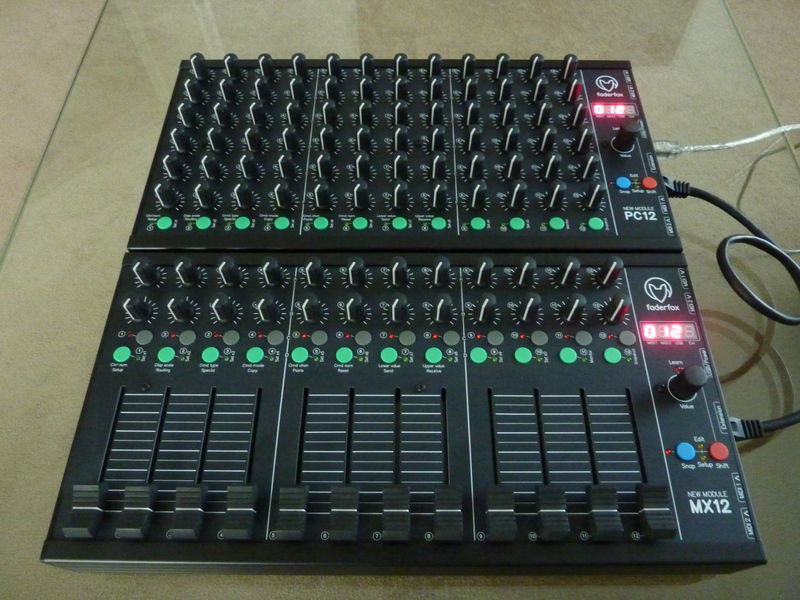 It also has 8 pots per channel although it has less buttons. I also managed to get my hands on one of these, so I'm going to see how well this works for me. I'm considering getting a Doepfer Drehbank to add to it. I'm realising that traditional MIDI is sometimes better than USB MIDI as you can easily chain them together. Finally Faderfox have some new products that can be chained together into a single controller. Sorry for the OT on the original subject of a control strip style controller, but I thought some people here might find these interesting. The rain was nice! Most of the year is rain so I've grown to really enjoy it. Yea it's a nice city. I haven't gotten tired of it yet! Hope you had a great time! I first went to the Burn in 2000, had my beats played at the Man base (the giant white A) in 2001 while a guy I met played live cello over it. Even did a decade of setup and playa restoration out there. There ain't nuthin like sharing fire. Wow, such a history you've had out there. So special. This was my fourth but certainly not my last. I bet it was amazing hearing your own music played out there. What an experience! But point is, I got to see his Neve 5088 console up close. It has no EQs or dynamics on the channels, just trims, bus sends, and auxes, and it is such a great size--totally usable. This is really influencing the size and layout of the fader bank sections for the hardware controller--and it's very close to what Selig had suggested. Larry's setup looks cool - I know a few other folks with studios in Portland, but I'm guessing you're already heading home. There's another approach similar to this, influenced partly by the SSL Duality. That is to put the send/insert section in hardware on each channel, still using the center channel approach for the FULL channel strip controls, PLUS using smaller displays to create a meter bridge approach (the SSL Duality part). The meter bridge would primarily show metering, but could also follow the center channel to show all EQs when you adjust an EQ in the center section, all dynamics when you adjust dynamics, etc. With this approach you can scan the console and see all the EQs at once, all the dynamics at once (really helpful IMO), all input/routings, all inserts, and all sends (even though they also exist in hardware). You could also use the displays for other things depending on what the software allows, or even for external sources such as external spectrum displays, phase meters, X/Y displays, etc. This sounds really interesting Selig (and yes, just flew out this morning, shoot).